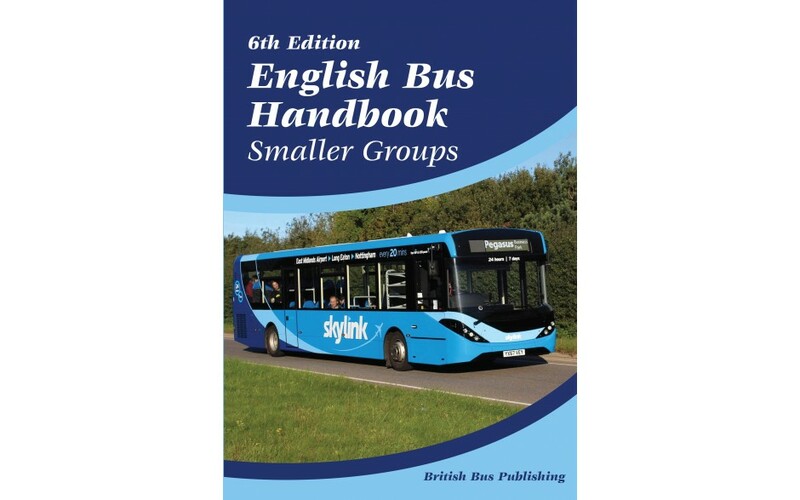 Published in April 2018 this sixth edition of the English Bus Handbook: Smaller Groups is part of a series that details the fleets of certain bus and express coach operators throughout Britain. The operators included here are more of those who provide tendered and commercial services, primarily in England. They are the smaller groups which have not featured in their own dedicated volume. Operators include: EYMS Group: East Yorkshire; Express Group: National Express, King’s Ferry, West Midands, Dundee. Le Group RATP: Bath Bus Co, Epsom Bus & Coach, , London United, Manchester Metrolink, Selwyn’s, Hayton’s, Yellow Buses. Rotala: Diamond, Flights, Hallmark Coaches, Preston Bus, Wessex Connect. Transdev: Blazefield, , London Sovereign. Wellglad: Kinchbus, , Midland General, Notts & Derby, TM Buses, Trent-Barton. YourBus. Published in April 2018 this sixth edition of the English Bus Handbook: Smaller Groups is part of a series that details the fleets of certain bus and express coach operators throughout Britain. The operators included here are more of those who provide tendered and commercial services, primarily in England. They are the smaller groups which have not featured in their own dedicated volume. Operators include: EYMS Group: East Yorkshire; Express Group: National Express, King’s Ferry, West Midands, Dundee. Le Group RATP: Bath Bus Co, Epsom Bus & Coach, , London United, Manchester Metrolink, Selwyn’s, Hayton’s, Yellow Buses. Rotala: Diamond, Flights, Hallmark Coaches, Preston Bus, Wessex Connect. Transdev: Blazefield, , London Sovereign. Wellglad: Kinchbus, , Midland General, Notts & Derby, TM Buses, Trent-Barton. YourBus.